In the recent years, it has been observed that Call Centers/BPO have become a source of economy in the developing nations. Especially in India, it is the only sector that has tremendously giving a giant score in the global income scenario. The roles played by these call centers are extremely crucial as these are the main revenue earning sectors with a complete dedication to 'customer satisfaction,' served round the clock. The modern day concept of BPO industry has undertaken a complete new shape. Apart from the basic operations, it is also considered to be one of the most effective tools of marketing that offers qualitative know how of the IT industry. Today, the BPO industry is focused towards making a change from the traditional methodology of business strategy. Green buildings,e-waste management, power efficient computers, shared data centers, energy efficient data centers, etc. are some of the concepts that definitely seek attention. But, when we come to the role of BPOs, it is observed that the services offered by them are helping the nations to a better height of success. Its character is fueled by the following factors mentioned below · Technology · Talent, · Cost Efficiencies · Global Policies · The Demand for (value-added) Services. The BPO/call centers of today specialize in providing wide range of call center services like Inbound & Outbound Voice Support, E-mail Support Service, Online Chat Support Service. In addition, Back Office services like Data Entry, Data Conversion,Transaction Processing are also covered by them. These Call Centers primarily focus on offering services that are specially designed to meet the best standards in computing, networking, security, power-supply, banking, insurance, telecommunications services and many more. BPO has brought a revolution in India. India is counted amongst the world's biggest Call Center outsourcing center, where 2.3 million people is employed in the IT-ITES industry. 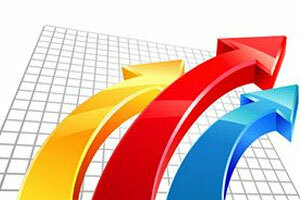 NASSCOM has reported that the country's domestic market will see 12 % growth this year and finally hit the mark of Rs. 66,200 crores approximately. It is also estimated that the direct employment in the Indian IT-BPO sector to cross 2.3 million whereas the indirect job creation will touch 8.2 million. This statistics shows the potential of the BPO industry and how it will initiate the business firms to take assistance of the international prospect. According to NASSCOM, in India, BPO revenues adds up to 110 billion in 2010 . So, can you imagine the real strategy behind this growth? Some of the nations such as US, UK and Europe are the potential customers for the Indian outsourcing industry. These countries account for 60% of IT and 31% of BPO exports, which considerably seems to be a great point of notice. The verticals varies from financial services (41%), high-tech/ telecom (20%), manufacturing (17%) and retail (8%). The call centers across the world are delivering some of the best services with the adoption of new concepts. The industry standards are modifying and effective management systems have been introduced for a betterment in their service. These service providers have globally placed themselves where appropriate manpower and educated low-cost workers prevails. Apart from all these factors, the call centers have ensured environment conformance, and brought significant measures in various forms. These are implemented through energy conservation, tree plantation, saving water, rain water harvesting, saving paper, waste management system, etc. The business giants across the world are too conscious in making India a permanent partner in the field of business process outsourcing. With the elevated graph of profit in the last few years, it is purely evident the developing nations are taking a positive step in establishment of such opportunities in the small towns and cities, thus increasing the prospect in the international arena. Therefore, the role played by the BPO/ call centers are gathering a world-wide attention. These service providers should always try to innovate their services so as to retain the clients and get ready ASAP with the entire range of business process outsourcing services. Because a new venture will always try to make its clientele growing in a better pace, which is basically effective only with the help of these BPO service provider. In a nutshell, these service sectors are a blessing towards the growth of a nation and individuals. Larger the links, more would be the economic prosperity among the nations.